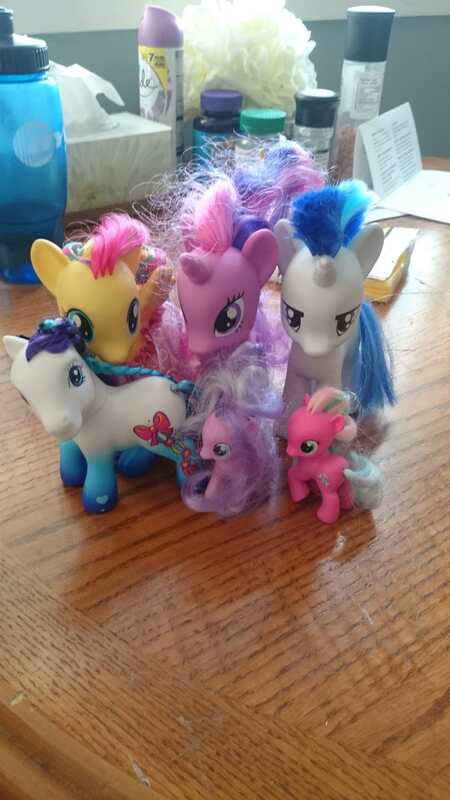 Yes is long over due but I havent bought alot of ponies recently. 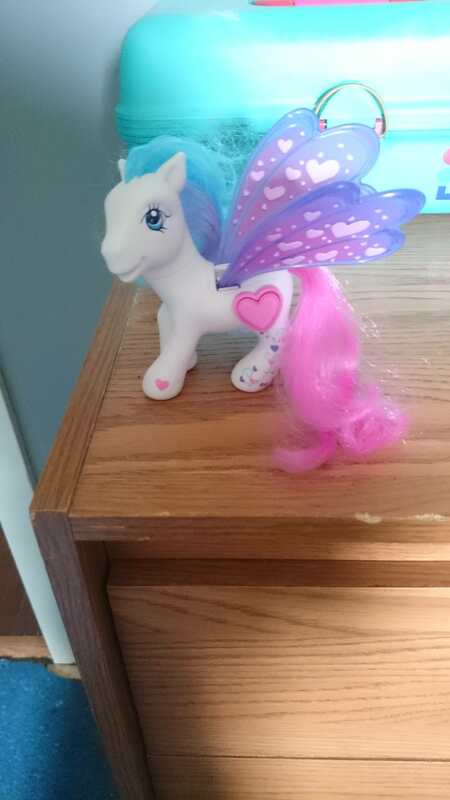 I think im going through a pony dry spell. 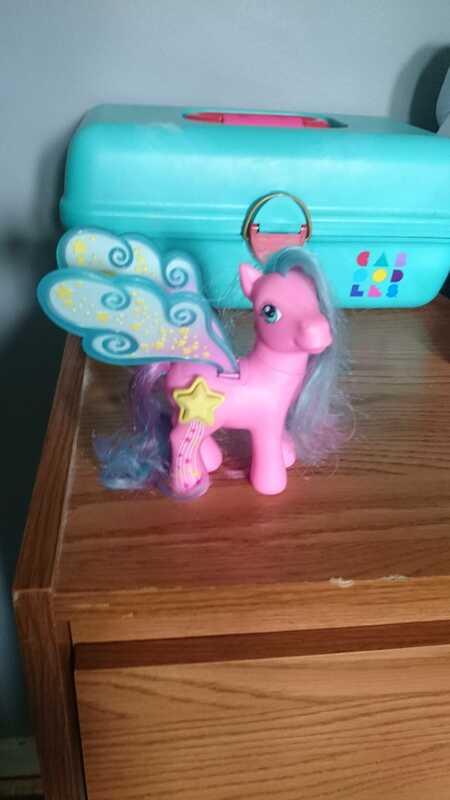 So the newest ponies are Sea Breeze I wanted her for a long time I just love her colors. 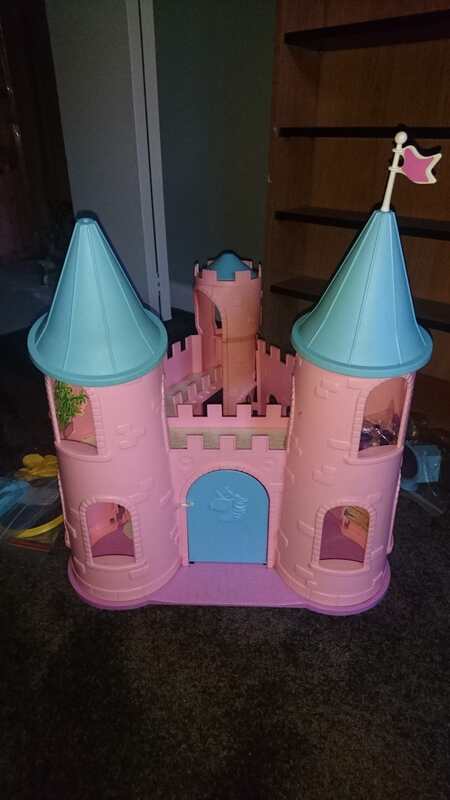 The UK Dream Castle I upgraded my old one It came with some old stickers and some pony barrettes and old ribbons. I also have Starflight and starbright the G3 ones. I also got some fashion styles. Especially moving into a new house. 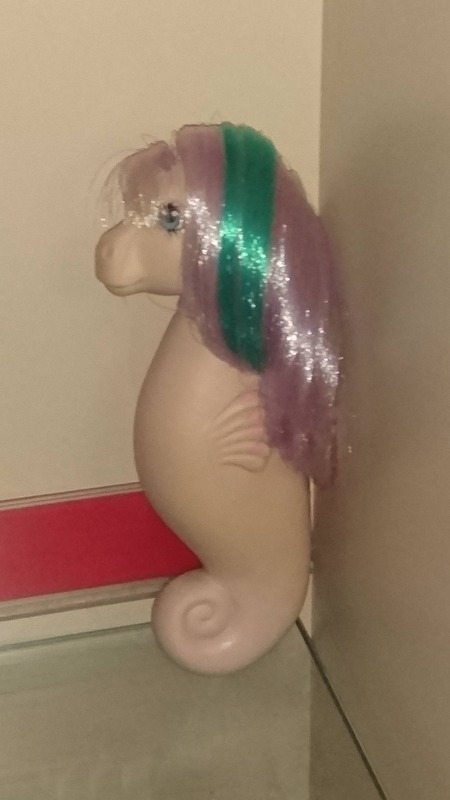 We still havent set up the pony room yet I gotta paint it that is the last step. I had a few trades I forgot to post. 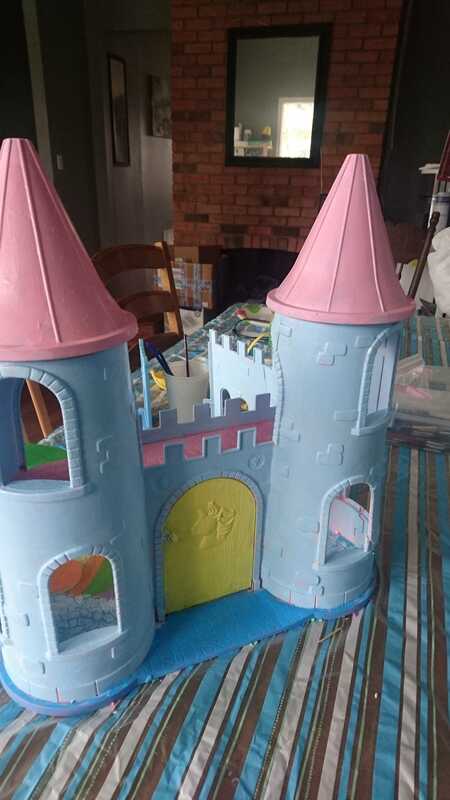 Also me and my daughter painted my old dream castle and customized it. So here is everything. So many stickers! Congrats on everything! Sweet haul(s)!! I especially love the stickers. 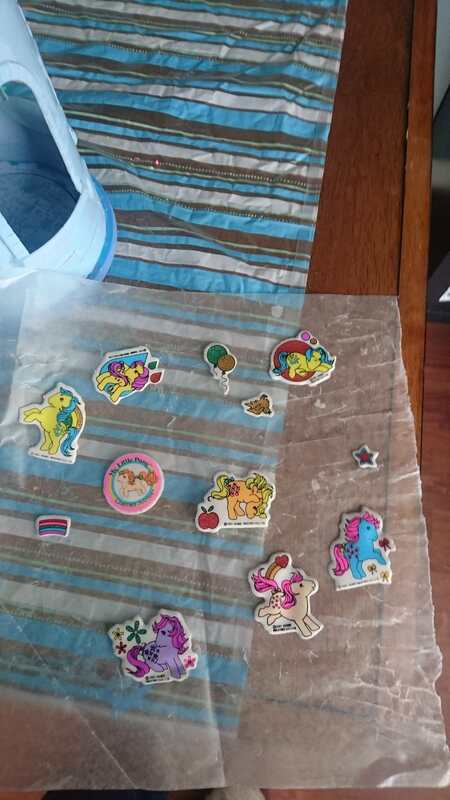 the fashion styles,fillies and g3 pegasi were from a trade with ology some of the stickers didnt come off properly from the dream castle and they left some diamond stickers or something on the top of the castle turrets it turned it a weird brown or greyish color on one side. maybe it got sunfaded. I dont know what to do about it I did clean the castle. I could paint them but I dont what to do anything with them so I left them alone. the stickers left an imprint inside the castle but I left that alone too. I like to maybe glue the stickers together but I havent touched them yet since they were puffy stickers. Happy late birthday!! I spy a cj sticker lovely new ponies and castle you got! Thank you CC , yup i thought about you cc when i saw CJ and the sticker. 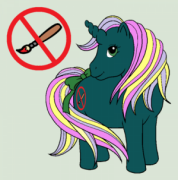 I dont have many pony stickers so it is nice to have some other ones. Love the castles and stickers. A belated happy birthday to you! And what lovely presents, you must have been a very good gal this year! I kinda had a pony dry spell but I did get a few things here or there this year. Looks like an awesome birthday haul! Congratulations and happy belated birthday! A...very..belated Happy Birthday! But better now than never! Thank you, good luck on painting up your dream castle. Nope, I'm sorry Skybreezes. This is too much awesome. 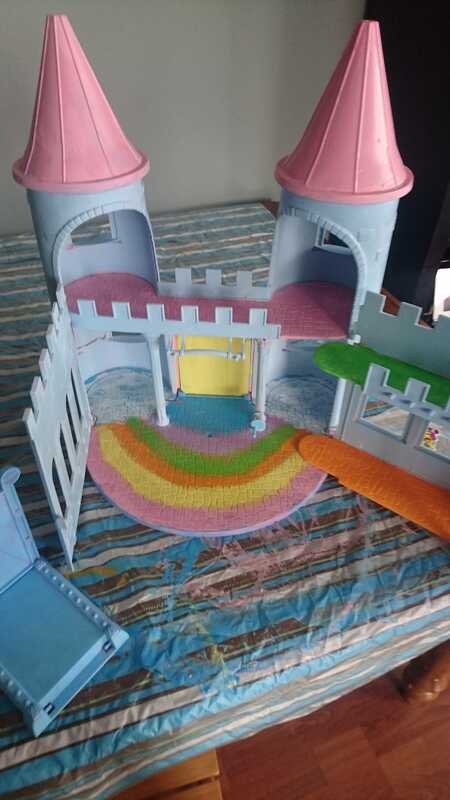 Your Dream Castle looks fab btw and your ponies n accessories are great! Could compromise and do a cloudy sparkly Victorion Castle at Night? 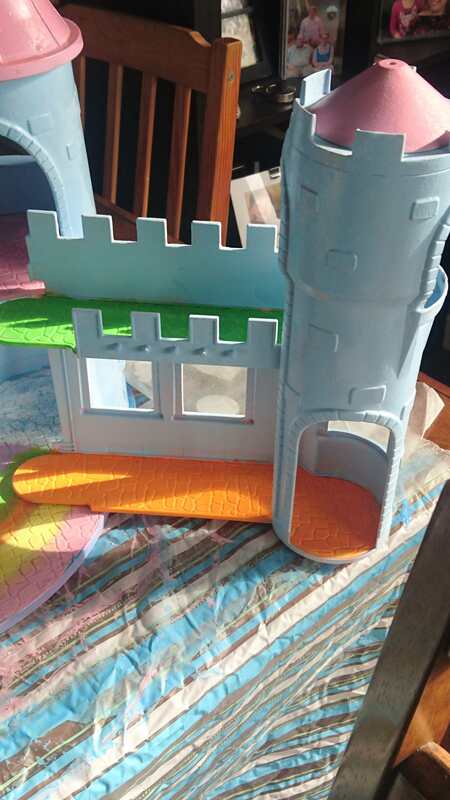 But I have more baity playsets...so I think I make a Goth Castle...and a Victorian over the top Lullaby Nursery! ooh Victorian sounds wonderful but very hard I bet. I think I have a better idea! I have severall Pretty Parlors....and I think a make a Millinery shop....a Corset shop...and Custom Dress Shop...and this all in Victorian style....A little like a Victorian Shopping street! Like Bond Street in London at the height of the real Victorian time!! That sounds very delightful good job. Im sure it will look very lovely.